Are you an innovative startup with a prototype or POC? And are you looking for some funding and quality mentoring/guidance? 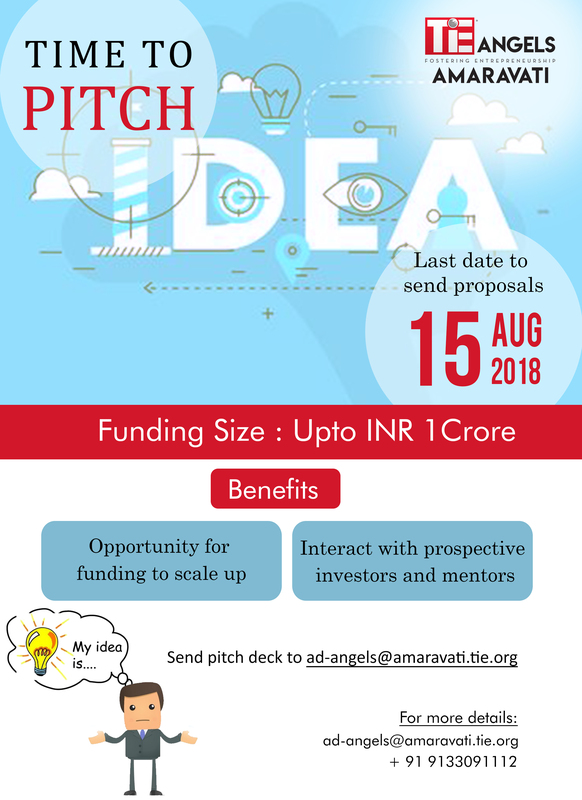 Mail your pitch decks to ad-angels@amaravati.tie.org at the earliest. The last date for entries is 15th August 2018.